Just the mere listing of the possible high-end specs for the HTC Pyramid was enough to get the handset a nice buzz and a following from T-Mobile customers and others, excited at the prospect of this Superphone resting in one's palm. As we reported, the device is expected to be loaded with nothing but the latest technology. 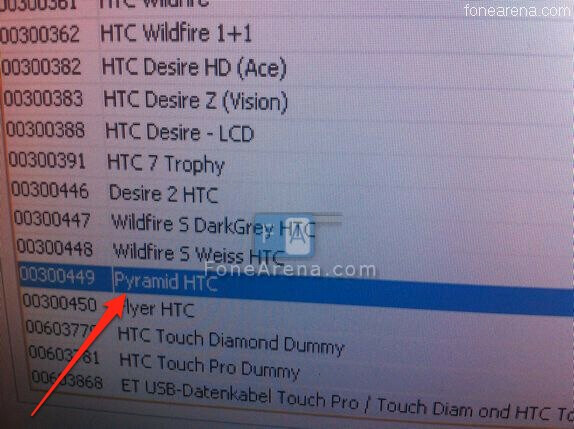 Now, as if to assure everyone that the HTC Pyramid is more than just a mirage in the desert, a screenshot that has been taken allegedly from Vodafone's inventory system lists the phone. While this doesn't prove definitively that such a model is on the way, it is another clue that you would expect to find if there really is an HTC Pyramid. This could end up as great news for T-Mobile customers and cellphone fanatics in general and shows how far the industry has come in the space of one year. And with MWC right around the corner, we could see HTC taking the wraps off this device very soon. Speaking of MWC, we will be there to bring you hands-on reports for all of those smartphones and tablets that you have been waiting to hear about. 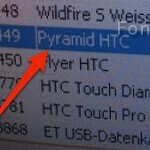 Hopefully, that includes the HTC Pyramid.